There’s a strange notion among some netivists that certification can stop deforestation. The Forest Stewardship Council (FSC) for example, is an international certification body that “promotes the responsible management of the world’s forests.” Its function is clearly not to save forests but to certify forest products like timber, as eco-friendly or sustainably harvested. Industry watch-dogs like FSC-Watch are questioning the sustainability of its certified products with reports like this one on deforestation in Sweden. The use of its certification or in this case, its abuse with Asia Pulp and Paper, makes for an interesting examination into expectations of certification schemes. In the case of palm oil, the other consumer product that is frequently accused of causing “massive deforestation globally,” a similar scenario exists with the Roundtable on Sustainable Palm Oil (RSPO). There’s no shortage of criticism of the RSPO. Purdue University published a report claiming that deforestation in areas where sustainable practices are required is higher than that of areas where no such requirements exist. The RSPO in its own defense has come out and said the scheme is no silver bullet to stop deforestation. A response by Anne Rosenbarger, from the RSPO’s Board of Governors can be read here on Mongabay. This statement may have been an indirect response to the continued accusations of deforestation by RSPO members, the most detailed of which can be accessed on critic website Foresthints.news which is not shy about criticizing the RSPO or the Indonesian government’s policies. In light of all this criticism and accusations, did the RSPO shoot itself the foot when it adopted a No Deforestation policy? This decision was puzzling because one usually takes the next step which would be No Deforestation, after having successfully taken the first step, which would be reduced deforestation. The CEO of the RSPO, Darrel Webber, may have recognized this misstep when he repeated that the RSPO was not a silver bullet to stop deforestation. He is right. It is not up to certification bodies like the RSPO or the FSC to stop deforestation. Their task is simply to prevent excessive forest loss in areas where their members work. They can influence forest conservation but by no means should be expected to stop deforestation as multiple other forces are causing forest loss. "In the late 2000s, large-scale plantations were responsible for more than half of Indonesia's loss of primary natural forests. This trend peaked from 2008 to 2010, when an average of 600,000 hectares of forest was lost annually -- 57 percent of it driven by the expansion of these massive farms." From 2014 to 2016, an average of more than 800,000 hectares of primary forest was lost annually, but large-scale plantations accounted for only 25 percent of it. So although the overall rate of deforestation grew, other causes were responsible for most of it." With these facts in mind, it is completely unrealistic to expect that third party certification schemes like the RSPO or FSC would stop deforestation. Even the national certifications for palm oil under the Malaysian Sustainable Palm Oil (MSPO) scheme for Malaysia or the Indonesian Sustainable Palm Oil (ISPO) scheme for Indonesia should not be expected to stop deforestation. The only entity that has the power to stop deforestation are the local governments, which in the case of palm oil, would be Malaysia and Indonesia as primary producers of palm oil and timber. The Malaysian government had proposed a cap on palm oil acreage as six million hectares, which would have meant adding another 200,000 hectares of oil palm only. 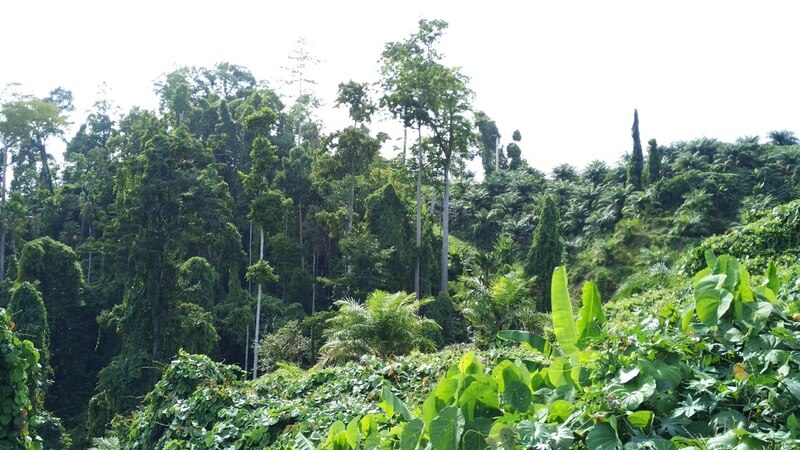 It has recently increased the cap to facilitate Sarawak state’s plan which would bring up the national cap as 6.5 million hectares but it is not known at this time whether the expansion will be on degraded lands or forested areas. Similar information is not available from Indonesia which has developed at a slower pace compared to its Southeast Asian neighbor but the indications of better forest management in the past few years is already evident. Its reduced rate of deforestation actually earned it a payment from the REDD program. These are both positive developments in a regional context but globally, the palm oil industry's influence on saving forests will be minimal. The overall impact of the industry has been reported to be a mere 2.3% of global deforestation. Based on data from 2015, the industry uses only 6.6% of cultivated lands globally but managed to produce 38.7% of the world’s output for vegetable oils. One could almost see how the extraordinary efficiency of the oil palm tree in producing oils has been a major factor in reducing deforestation in Southeast Asia while saving forests and ecosystems where competing vegetable oils are produced. This is a bold claim of course, one that competing vegetable oil producers are sure to challenge but as an industry that is scrutinized beyond comparison, certification will help the palm oil industry to counter the common accusations against it. But certification of palm oil alone is no guarantee that forests globally are being sustainably managed. The global demand for electric vehicles (EVs) which are widely accepted accepted as sustainable are a new cause of deforestation.